It’s that time of year again where the weather is getting cooler, the smell of rain is getting us excited, Stoke is in the air and the snowboard movies are making us wish we lived in Alaska! 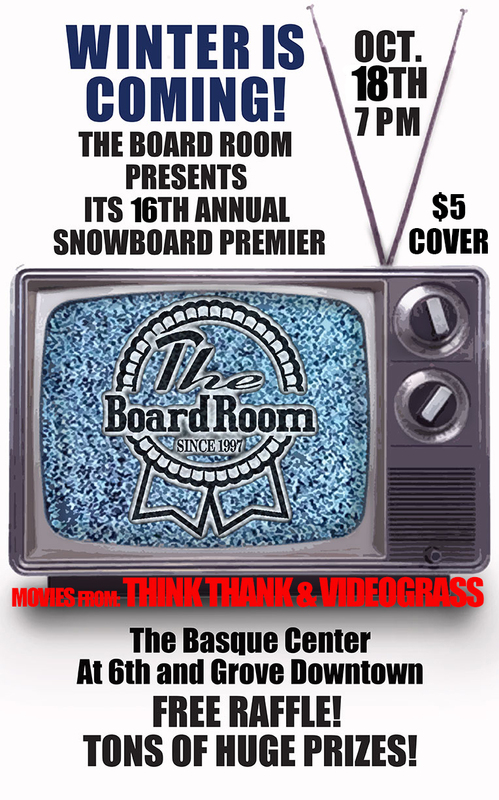 Get hyped for the 2014 season by joining The Boardroom for our 16th Annual Movie Premier at The Basque Center in downtown Boise, Idaho on Friday, October 18th! Followed by an awesome after party, sponsored by SPY. 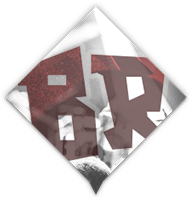 Location coming soon! Not only will we be premiering this years best films, we will be giving away this years hottest product, we have so much to give away its worth it to buy a few raffle tickets! Pre-sale tickets purchased at The Boardroom get you two raffle tickets and double your chances to win! Purchasing tickets at the door gets one raffle ticket and a free high five. 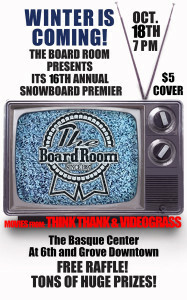 LIMITED TIME: First 50 tickets sold at The Boardroom, receives 3 x Raffle tickets! Their already selling so get em before their gone! Stay tuned on ways to win tickets and updates for the event!